Another Holiday Club has zipped by faster than your wild children down our zip-line. It was another fully booked week of absolute madness and fun. Here's what we got up to! Firstly, I would like to say a very BIG thank you. Thank you to all you parents for supporting the work we do at our Free Rangers Holiday Clubs. Clad in waterproofs and united under a muddy cause, we once again played host to a hoard of faces, here at Free Rangers for another week of exciting Forest School Holiday Club. Forest School: Igniting fires of curiosity to inspire children to explore, play and thrive outside. Free Rangers once again opened it's doors to what can be only be described as a HORDE of children to come and play, learn and thrive at Free Rangers Forest School Holiday Club. It not only proved to be the busiest Holiday Club we've ever run, but also the most fun! 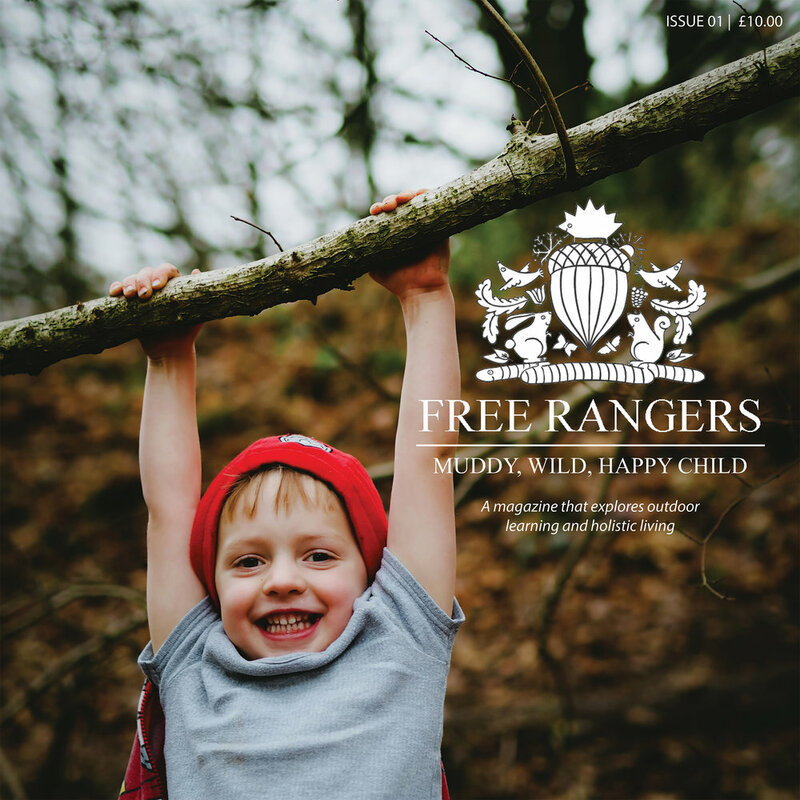 We've made a Forest School video to highlight why we at Free Rangers think Forest School is such an important activity for us to share with your children. It's been another great week of our Forest School Holiday Club, with the exciting addition of the very first Forest Skills course to boot! Despite the weather threatening to dampen the spirits (and everything else), it luckily held off for the 4 days we ran our course and opened up the days to some excellent play opportunities. With another Forest School Holiday Club done and dusted, it’s important to look back and review its successes and indeed where it could be improved. During the end of July and first week of August, we ran our Forest School Holiday Club here at Free Rangers Forest School and had an excellent time of it too! It wouldn't be our Forest School without the curse of rain over our heads, and we had some short sharp downpours, but on a hot sunny day to keep , who doesn't like a little refreshing shower to invigorate, inspire and keep us on our toes! Play is not a swear word! Lately I have read and heard many Early Years Professionals justifying their decision to use play as a powerful tool with which to facilitate children’s learning. With newspaper articles suggesting that the government is going to introduce formal assessments and expect Early Years settings to teach official sessions of numeracy and literacy, it’s understandable that as professionals within education, we feel we need to explain why we don’t sign up to these potential changes and why we wholeheartedly believe children would not benefit. As professionals, parents and carers we should do all we can to highlight the benefits of play to children’s learning and development. So, we stand shoulder to shoulder with our fellow Early Years settings and join in by sharing our views on play. One of the ways we’d like to do this is by drawing your attention to the important matter of play. Firstly, we’d like to share with you the Free Rangers’ Play Policy, this explains our stance on Play and we hope you share our views. If we’ve left anything out then please let us know. It’s not in essay form, the topic is so vast we thought we’d condense it down to the nuts and bolts of play. But if you’re interested to find out more then please email the office and we can point you in the direction of some great theorists and studies. With your help, we want your children to be the best they can be. We strongly believe not only the educational theories that support play as being the bedrock of early years learning, but also the emerging, sound scientific studies that further confirm; play leads to greater brain development. Secondly, as from September 2013, we start in earnest our Stay & Play sessions, for children aged 0 – 5yrs at All Hallows School’s onsite woodland. Join us for Forest School sessions that will be tailored to encourage you and your child / children to learn through play in a beautiful and mature woodland. Please find details here. The continued provision of our Free Rangers’ Forest School Holiday Clubs also ensures those children beyond nursery age can also access Forest School provision in the woods. Thirdly, we thought the best thing to do was to invite Michael Gove to visit us for a “Play date.” We are confident that the families that choose to send their children to Free Rangers aren’t wrong, we are certain our views which reflect early years best practice (in fact only tonight we’ve just won three awards from our Education Authority) aren’t wrong, and furthermore we know we share the same ideals as many other fantastic Early Years Settings both locally and globally, so we can’t all be wrong can we? Once he sees Free Rangers’ children busy playing and learning we’re confident he’ll listen to all of us. Please come and play at Free Rangers for the day. Toby, Laurie, Archie and William said they’d play dinosaurs with you; Josie said you could share one of the balance bikes; Lauren will sit with you during snack and lunch, Cain, Theo and Jess will show you the cement they made out of sand, water and grass and Daisy said she’d toast a marshmallow for you. So you see Mr. Gove, all angles are covered. Please bring your wellies, if you don’t have any, we can lend you some. Hope to see you soon for fun and frolicks at Free Rangers. Everyone here including Gary the Goose. Another Half Term over and what a week of extremes. We started with unrelenting rain on the Tuesday and ended the week with glorious sunshine. But despite the wet start, the children came and conquered, leaving with muddy knees (or on Tuesday muddy everything! ), crafted objects and treasures in pockets, and a wholesome sense of achievement from the day. The usual staples of our Forest School sessions were available as well as a few new extra activities for the children to get stuck into. Fire lighting, whittling, den and shelter building and river exploration were all on the menu along with some May whistles carved from some young sycamore branches. We also put our hands to boat/raft making, learning how to safely use an axe (splitting and carving) and different types of saw, freetime in the woods to explore, as well as two rather splendid mud slopes. It never ceases to amaze how children can effortlessly create and play in our natural spaces. We always plan plenty for the children to do, most of which they will complete but many will create exploratory stories and games outside of our planning; these are usually “child only” and we adults are rarely privy to them, so it’s a privilege to be part of it. Sometimes they need to be policed as we have a mix of ages and abilities attend. Our general rule of thumb is if everyone is enjoying the game then it can continue. As soon as someone stops enjoying it, we either think of way to better it for inclusion or it stops. Simple and effective. Much of what we do as Forest School leaders is of a facilitating role. Yes, we ‘teach’ in a sense when it comes to how and why we for example use a knife, but much of what we do is aid in the children’s own exploration and learning, helping expand and further their time with us in the woods, and hopefully when they get home as well. On Friday as well we were visited by some of the Pre-School children from the Nursery who came down at exactly the same time as we were about to have marshmallows. Far too convenient for my liking. As a review process we ask the children what they thought of the day, what activities they enjoyed the most. One child reversed the question and asked me. My answer? Watching the children walk down to Otter Brook woods in their individual groups, but travelling back as one cohesive entity, new friendships formed through their time in the woods. Overall I was really impressed with the children. We have had several new explorers start and their existing knowledge and thirst to know more was really fantastic. We hope to see them again. Our veterans have also been excellent and it was nice to see some old faces from long ago! We’ve already had some great feedback from parents on how we’ve done but we’d love to hear more! Do get in touch. May half term is rapidly approaching and we are currently taking bookings for our exciting adventures on our Forest School Holiday Club down at Otter Brook Woods. We running sessions from the 28th (TUE IS NOW FULLY BOOKED) to 31st of May from 9am till 4pm. The pricing is £25 for each session with a £5 discount for any extra days booked. Click on the link below to see some of the activities the children get up to during one of our previous Forest School holiday clubs. I’m sure you’ll agree they look like they’re having a fantastic time! For more information on our Holiday Clubs such as what gear to bring, please visit our Holiday Club information page. With another Forest School Holiday Club done and dusted, it’s important to look back and review its successes and indeed where it could be improved. As a forest school leader, as all educational practitioner do, it’s paramount to review your practice. This enables you to develop and progress your own skills and implementation of sessions and, just as importantly, better the children’s experience for the next time they come. The week saw very a very positive turnout of children over the 4 days we ran it, but unfortunately also bore witness to some extremely cold and inclement weather and even some snow! This had a real impact on the longevity of some of our smaller members despite having a roaring fire and plenty of activities to take their mind off the cold north-westerly wind that whipped through the trees. It was also testing for the staff members, as those in the know can appreciate how much preparation and clear-up there is to deal with during such events. With the weather not improving over the course of the week, we took the decision to run the rest of the course on site at Free Rangers Nursery, so the children were closer to our facilities, (the woods is a good 10-15 minute walk depending on the size of your legs and how tired you are) but could still be outside and enjoying themselves. It was a hard week, but the children make the best of every opportunity to play in the outdoors, and we did all the activities we normally do during a Forest School day: knife work, shelter building, fires, cooking over the fire, creative activities like paining with mud and sculpting clay embellished with natural materials as well as some slacklining (“Slacklining? What’s that?” I hear you say! Click here to see - redirects to YouTube). We also tried felting, making some little eggs to go into a bird nest made of materials found around the grounds. It was great to see the nursery forest school area being used by older children, whose group dynamic showed me different ways of utilising the space; this gave me some definite food for thought on developing the grounds. As a result I have taken the decision that next year in the February half term, we will run dedicated “Forest School Skills” sessions in one of the barns at the Nursery. This will enable us to build upon the skills the children have put in place as well as having closer access to our Nursery Forest School area without having to contend with the chilly weather for too long if needed! Weeks like this are hard and tiring, and it’s easy to lose focus on why you are doing it in the first place. However, I was warmed by one child, a frequent visitor to our Forest School, who went out of his way to make me a poster of his time that week. It showed our woods, the sun (which believe it or not did shine!) our fire pit and the cold wind blowing through as well as token flower for added flair. I was really touched and it has pride of place above my desk. It’s moments like this that you remember why you do what you do, and even more rewarding that children take your sessions home with them continuing their learning and passion. And yes...to JV who drew this picture. I do like it. Thank you very much! We look forward to welcoming our Free Rangers back in March (25th - 28th) to bask in Spring's glory and to some hopefully warmer weather! Where has January gone?! February half term is fast approaching, which means the first of our Forest School holiday clubs of 2013 is nearly upon us here at Free Rangers. There are still places available so do please get in contact with us! (see below) We running sessions from the 11th to the 14th of February down at Otter Brook Woods from 9am to the later time of 4pm. The usual suspects are on the menu: fire lighting, den building, knife and tool skills, slack-lining and forest school games. We are also looking to add some camp-fire cooking activities as well! Maybe some delicious baked bananas? Or some Bannocks perhaps? Delicious. The pricing is £25 for each session with a £5 discount for any extra days booked. Have a peek below at some of the activities the children get up to during our Forest School holiday clubs. I’m sure you’ll agree they look like they’re having a fantastic time. For more information on our Holiday Clubs here at Free Rangers please visit our Holiday Club information page.